A lot of manufacturing processes and chemical applications require the use of vacuum for a wide array of reasons. In many cases, these systems can be relied upon when handling organic solvents and compounds. They will help manage these chemicals in a safe manner ensuring not just a lower cost of ownership but also making sure that environmental pollution is reduced in all levels. It is good to note that there are comprehensive drying solutions both in chemical process and environmental industries. At Airtech Vacuum Incorporated, we can install vacuum and pump technologies for your drying systems. 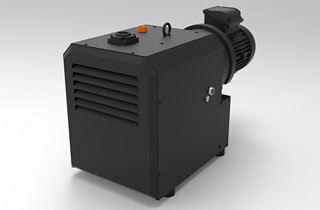 Dry vacuum pumps can be manufactured and designed for a variety of process applications. There are many options to choose from when it comes to this technology and if you are looking for one that can be used in the drying systems industry, you must go for that technology that is environment-friendly. It will also be wise to invest in drying systems vacuum products that are clean and reliable, and has lesser maintenance and utilities cost. These technologies do not just come with pumps and vacuum systems. They are also considered complete solutions that have been fully engineered according to industry requirements. They can work for petrochemicals, pharmaceutical products, and specialty and fine chemicals. There are also those that can be used for freeze drying applications. Depending on the drying systems industry making use of these technologies, each product can be customized and engineered accordingly. Why Choose Airtech Vacuum Incorporated For Drying Systems? When Airtech Vacuum Incorporated was founded in 1982, we swore to give our customers high quality vacuum and blower technologies, including high pressure regenerative blowers, oil-less vacuum pumps, rotary claw compressors, and more. With that commitment we hired no less than the best team to work with us in coming up with unparalleled technologies. This will ensure that you will get easily operable and installable vacuum and blower systems for the drying systems industry. We have packed these systems with technologies that will suit your industry’s needs. With the certification our company and products obtained from ISO, CE, CSA, UL, and RoHS, you can be sure that you will get the best product for your operations. To make the entire process even more convenient for our customers, our dependable and knowledgeable engineers will come and visit you to analyze your unique situation. From there, we will be able to design and engineer the vacuum technology that you need for your particular applications. 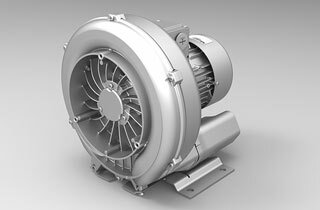 Whether you need a blower with magnetic drive or one that is nickel-plated, Airtech has got your back. We are also proud to say that we handle each order with care and that we offer them at most competitive rates. Start browsing through our inventory today, source for top-notch drying systems vacuum and pressure products and shop from us with exceptional ease!